Deception! Scandal! 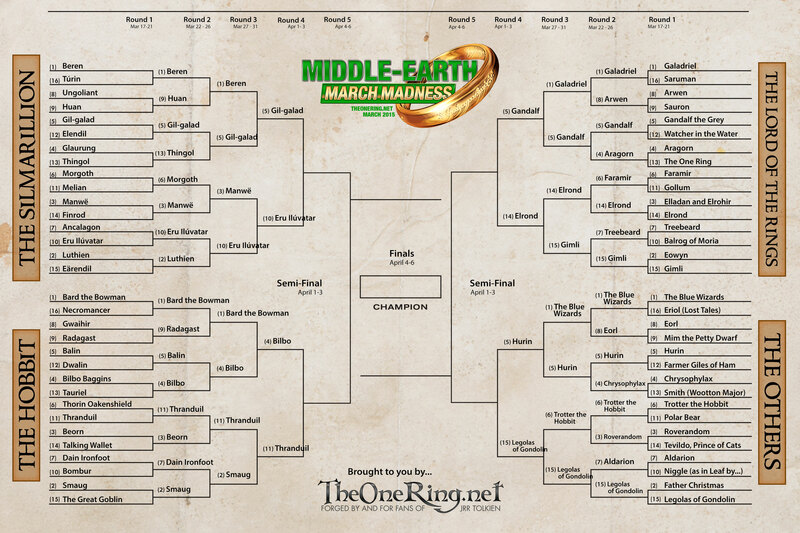 Middle-earth March Madness – Final Four Announced – Vote Today! 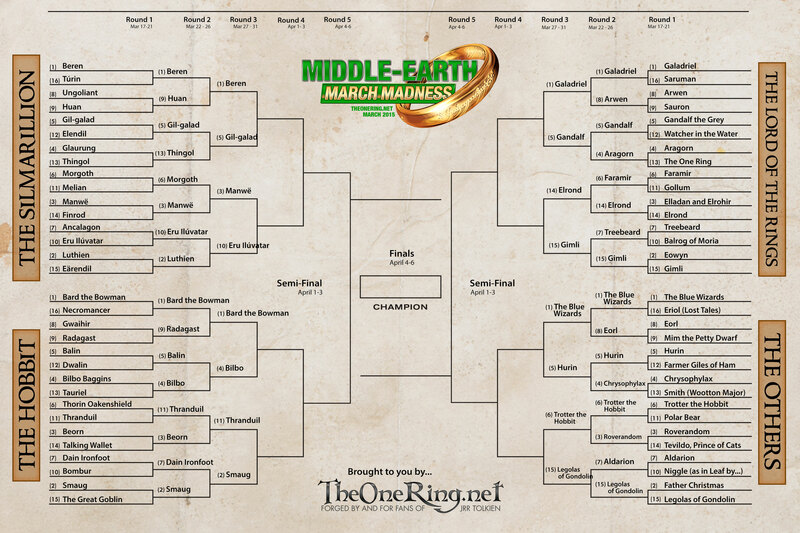 Middle-earth March Madness has been touched by scandal! When we tallied the votes in our Elite Eight round-up last night, we noticed the votes in The Hobbit division were suspciously more than those of the other divisions. While yes, certain match-ups spur passionate participation, the numbers on this particular match-up were significantly different. So we dug a little bit deeper. As it turns out, one person managed to bypass the system and vote 2300 times! 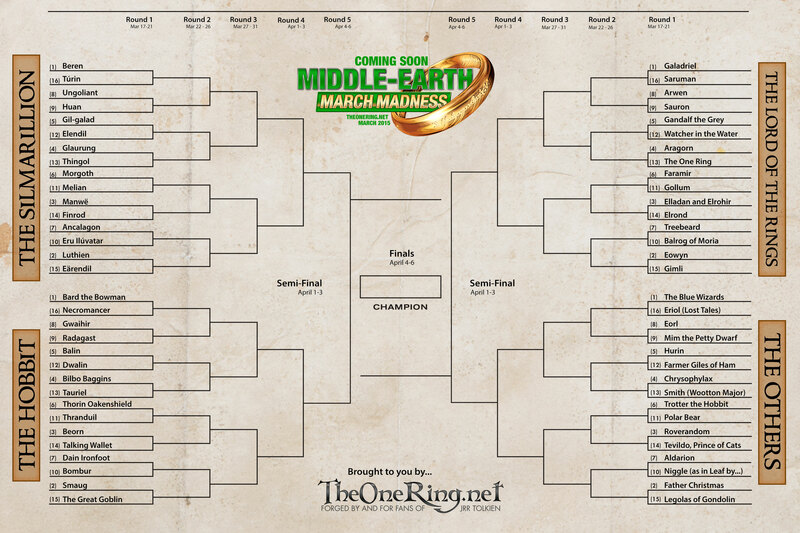 As the commissioner of Middle-earth March Madness, I took it upon myself to resolve the issue. I converted those 2300 votes to 1 vote. I also reviewed any other multiple votes and converted those to a single vote. As a result, the winner of The Hobbit division for 2015 is…. Bilbo! So we have our Final Four! 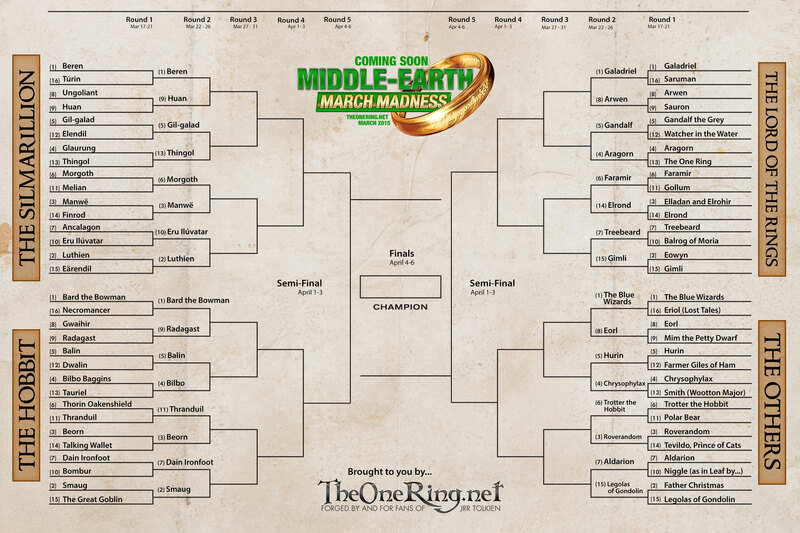 The Silmarillion division winner is, not too surprisingly, the creator of all existence, Eru Ilúvatar. 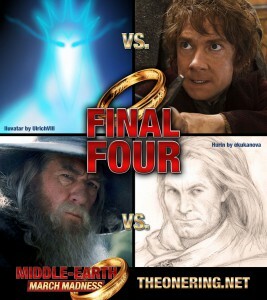 Eru will face off against Bilbo Baggins, fresh off an attempt to wipe him out of this entire tournament! Coming out of The Lord of the Rings, non other than Gandalf! Can he easy sweep past The Others division winner, Hurin? Or will Hurin pull off the biggest upset of the year! Voting in this round will remain open until April 6th at 10pm ET. And oh yes, you can count us keeping a close eye on any potential cheaters out there!